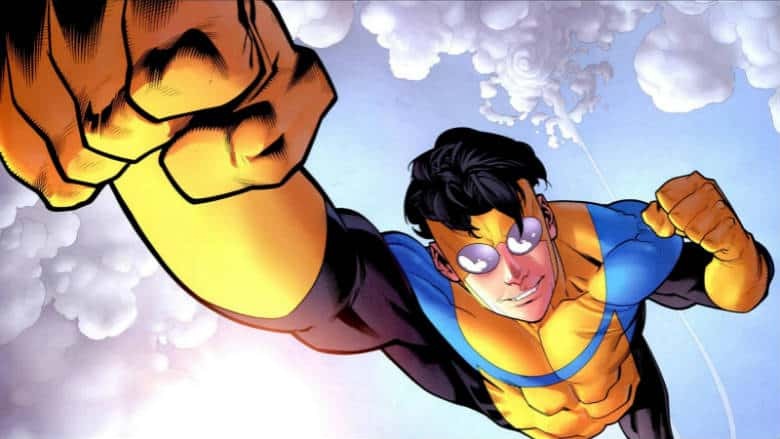 Invincible TV Show in the Works for Amazon | Nerd Much? Robert Kirkman, the creator of The Walking Dead, recently signed a developmental deal with Amazon Studios after departing AMC. Today Kirkman and Amazon Studios announced what the first project would be under their new collaboration. An animated series based upon Kirkman’s other hit comic, Invincible. Invincible recently concluded in February following its 144 episode run. Kirkman created the comic with his partner Cory Walker. Ryan Ottley joined the series as of its 8th issue to serve as its primary artist. The comic tells the story of a teenager named Mark Grayson. Mark is just a normal teen, despite the fact that his father is the most powerful superhero on Earth. Shortly after Mark’s 17th birthday, he begins to develop the power of his own and thus begins to learn the superhero ropes from his father. The series was beloved by many with its continual suspense, action, and emotion. Amazon’s Invincible series isn’t the only one apparently in the works though. Seth Rogan and Evan Goldberg have been developing a feature film based upon the comic since April 2017. The duo is attached to write, produce and direct their adaptation in conjunction with Universal Pictures and Kirkman’s Skybound team. No word as of yet when Amazon’s animated series or the feature film are planned to debut.